We are keenly involved in offering bestFresh Bananas.This presented product is finely grown by experts using eco friendly fertilizers. Moreover to this, these presented bananas are damage free and available for patrons in different sizes with perfect freshness. We ensure safe delivery of bananas. 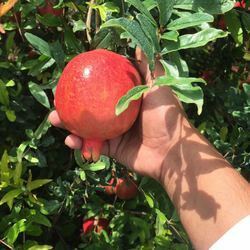 Fresh Pomegranate is a fruit-bearing deciduous shrub or small tree growing to between five and eight meters tall. Fresh Pomegranate seeds yield a drying oil which contains Pucinic acid forming upto 72% of the fatty acid. Pucinic acid is conjugated triene and and geometrical isomer of elaostearic acid. Oil possesses Antibacterial properties. Fresh Pomegranate is now well known for antioxidant properties. With recent researches the seed oil has been found to be of help prevent the formation of skin cancer by reducing the frequency of lesions and limit the occurrence of tumors. Mi9 International is the Largest exporter for orange which contain all the essential nutrients for the proper growth and development of body. 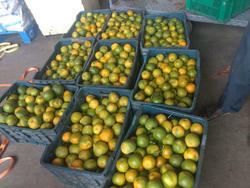 We present to quality juicy orange which is sourced from the renowned suppliers across the globe.